When rate ≥ 0.005%FS/s, the precision is within ± 1% of setting value. Test Speed≥0.05%FN/s, within the ±0.5% of the preset value. When rate ≥ 0.5mm/min, within ± 0.5% of setting value. Preset value<10%FN, within the ±1% of preset value. 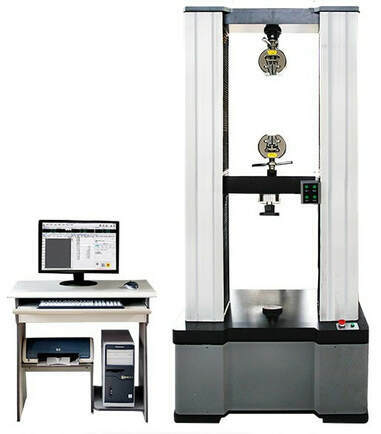 Load Cell Configuration: One PC (Max Load). More load cells can be added according to customer requirement. Extend Configuration: Large deformation extensometer, High or low temperature test chamber, High temperature oven.